QT-300 PlayerMic® is a rubberized, flexible, water and sweat resistant body pack. Originally designed for NBA players to wear in their jerseys during games. It will not injure the wearer even if they fall on it or take a direct hit. At 11mm thick, 110mm in length and weighing only 57g (including lavalier microphone) it can be comfortably worn or hidden almost anywhere. It’s the most comfortable audio transmitter in the industry. It has an internal antenna and connector for detachable lavalier microphones. 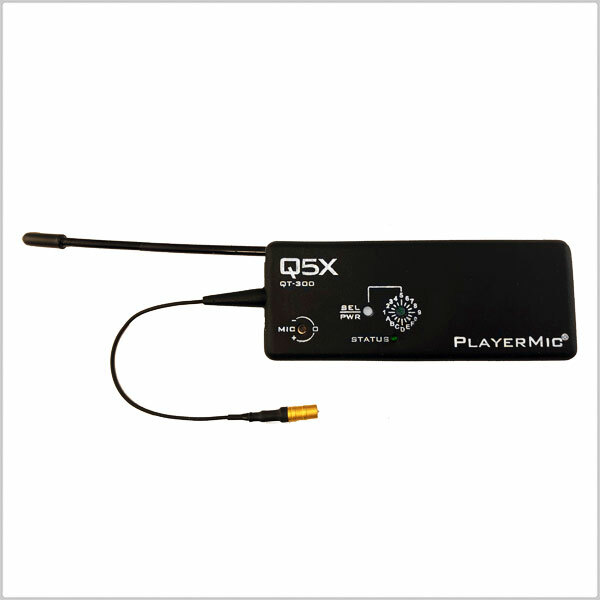 The QT-300 PlayerMic® broadcast quality audio transmitter has proven reliable electronics and uncompromising quality.